Keep the little ones occupied with some fun things to do on the beach! Hey Kids, getting excited about your upcoming visit to the beautiful Gulf Shores beaches? Well you should be because there are some super fun things to do while you are here. A simple day at the beach can include building huge sand castles, riding the waves on a cool boogie board, skim boarding the shore, or trying to catch a fish… Whatever you choose to do, it is bound to be a good time. 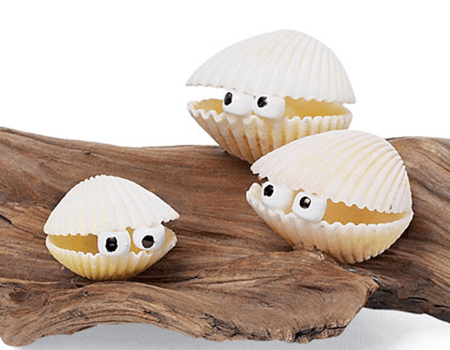 Let’s start this week with some shell critters for your room. This way you can enjoy the beach every day. For each critter, pick 2 shells that are similar in size and shape. Set one top-side down and glue a pair of googly eyes to the edge opposite the hinge. Then glue the other shell in place atop the first one. Then attach your critters to the driftwood and glue in place.